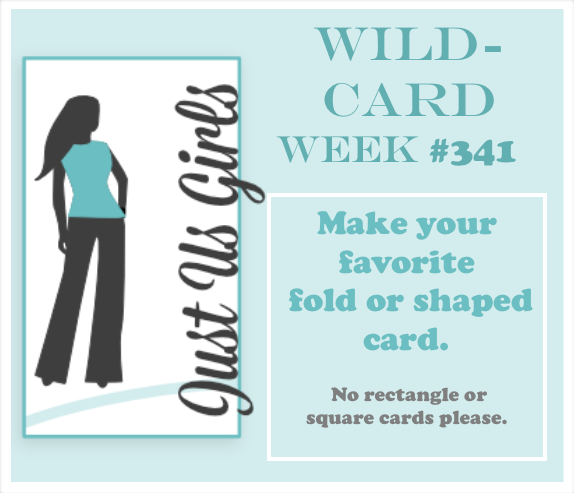 Hello Friends, It’ time for our Wild Card Week at Just Us Girls. Ina is hosting and has asked us to make our favorite fold or shaped card. I have been eyeing this die-cut at my school for quite sometime and I knew right away that this was the challenge to finally get a chance to use it. This card was quick, easy and fun to put together! Here is another view so you can see the lens is popped up for dimension. The paper is from Stampin Up and the sentiment is made from a set of alphabet stamps. This is going to be a belated Birthday card that I am sure I will need someday soon. I love it. Such aw great shape card design. Oh snap! That is so cute and I love the idea. Oh that’s a cool camera card! Love the popped up lens and that beautiful Designer Paper with the glitter! PERFECT for an I totally forgot your birthday moment! Love it! What a fun shape! Love the camera….how creative! Pretty papers and love the popped up lens. Nancy, this is fantastic! I love that camera shape and how you decorated it and popped up the lens. You really rocked this challenge! Oh my gosh, what a cute card. I have never seen that die before. 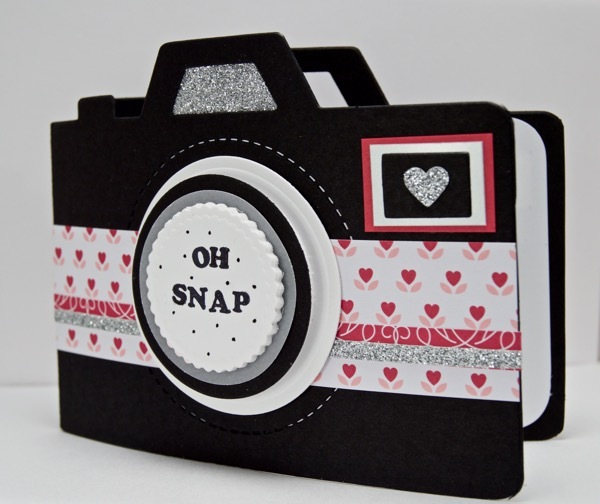 Great idea to pop up the lens, and your embellishments are great. Super adorable!! Oh a camera shaped card! Magnificent! Great job!! !